Well, I did it. 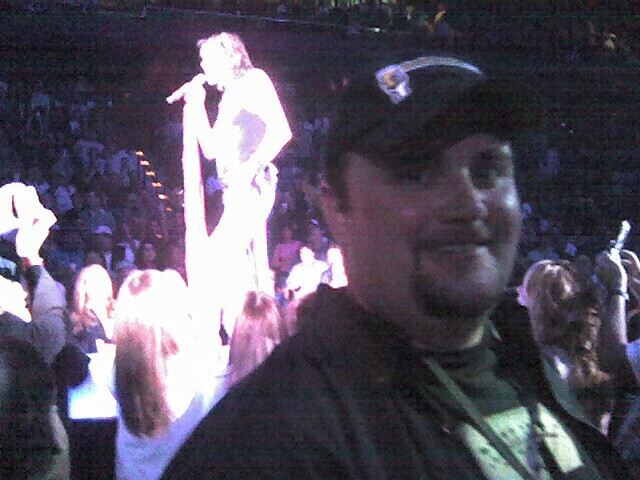 I saw Aerosmith and had fan Club (AeroForce One) tickets for the first time. 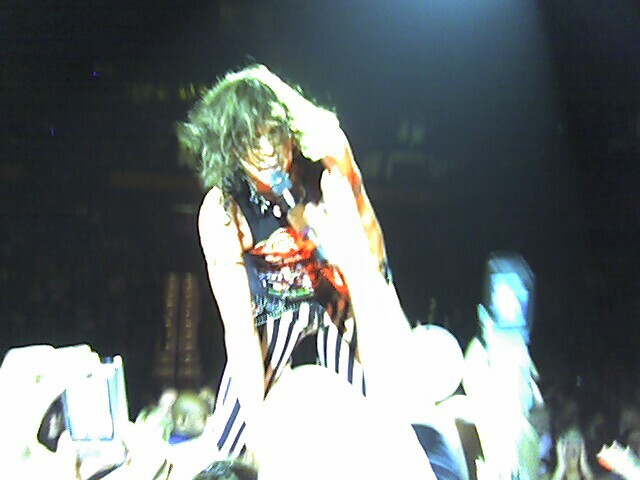 It was my ninth time seeing the band, but the first time getting the fan club tickets. It was worth the wait 🙂 We got there and they told us that our seats had basically gotten eliminated during the stage construction, so they moved us up to the area between the catwalks, 16 rows from the stage. Andrea looked at me and asked if I was going to be alright. I wasn’t sure if I was going to survive the night once I saw where we were sitting. Not a bad set list at all. I LOVE Seasons of Wither, so that was cool to hear that live again. However, the highilght by far was "No More No More" a long-time classic favorite of mine that I had never heard live. Some people on the AeroForce One discussion boards complained about the set list and how there was too much "MTV era pop" on there. Well, those songs are the songs from youth, so it’s fine by me. 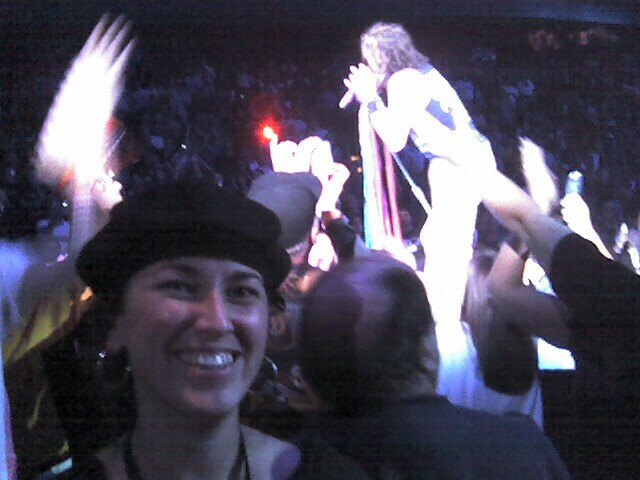 Though I would still love to hear "Kings and Queens" live and I read on the boards that they did "Nobody’s Fault" on the Kiss/Aerosmith co-headlining tour. It is kind of funny how much hatred hard-core Aerosmith fans have for the song "I Don’t Want to Miss a Thing," the band’s only #1 hit… its a ballad not written by a band featured in sappy moment in a mediocre movie, so the old-timers and purists pretty well despise it and view it as their "beer run song." I mean, I don’t care for it for all those same reasons – Aerosmith’s #1 single should be "Sweet Emotion" or "Walk This Way" not that ballad. But that’s the way it is, and I’m just glad that the band can stay so vital that 30 years later they can release a song that hits #1 for the first time and then come out with a blues album (Honkin’ on Bobo) that is acclaimed by critics and fans alike.